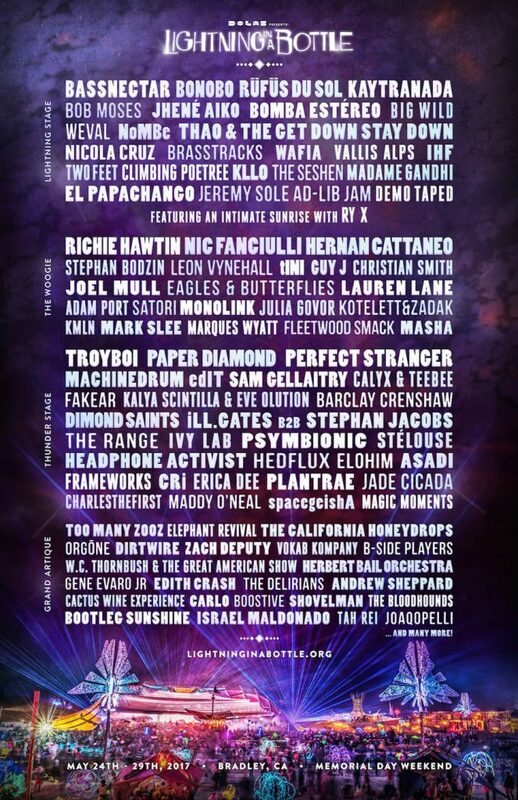 Fesival: Lightning in a Bottle – Bradley, Calif.
For more than ten years, The Do LaB has shattered all conceptions of the modern gathering, producing the most innovative and inspiring events on the international circuit. Lightning in a Bottle is a fusion of electronic music and introspective qualities of installation art, live performance, spiritual workshops, and an overarching embodiment of cultural and environmental consciousness. 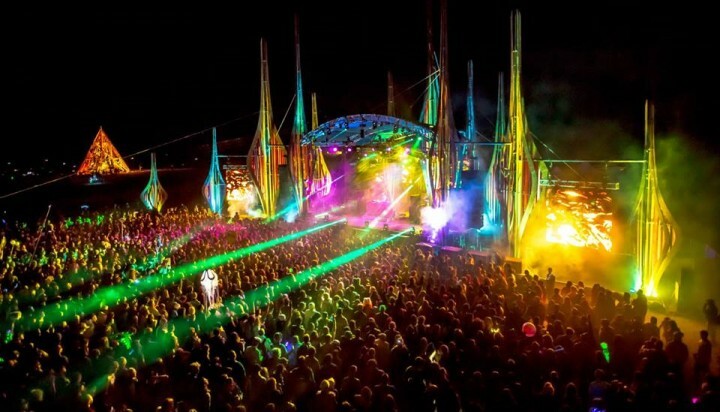 Through this focus on unique creativity, Lightning in a Bottle is its own class of gathering. Much of Lightning in a Bottle’s intimate singularity is expressed through The Lucent Temple of Consciousness, an amazing sanctuary for all participants to enrich the soul and inspire the spirit. The schedule inside the Lucent Temple, built out of recycled and found objects, included over 300 different experiences in yoga, workshops, speakers and exotic world music.